Founders Peggy Smith and Sue Conley on growing a women-led food business from the ground up. Pioneers of handcrafted cheese, Cowgirl Creamery played no small role in igniting the artisanal food movement of the Bay Area in the early '90s. From a small shop nestled in the roadside town of Point Reyes Station to one of the most well-known and celebrated cheesemakers with distribution across Northern California, the creamery has reinvigorated an industry and region over its 20 years in business with an unwavering commitment to quality and craftsmanship. Behind it all, two women armed with nothing more than a desire to showcase the bounty of a booming agricultural region when they moved to the Bay Area in the mid 70s. On the heels of their acquisition by Emmi and recent Lifetime Achievement Award from the American Cheese Society, I chatted with our longtime producers and founders of Cowgirl — Peggy Smith and Sue Conley — on the struggles and triumphs of building a women-led food brand and how they continue to champion small food in a rapidly changing industry. Get Cowgirl Creamery’s delicious cheeses delivered straight to your door, here. You both met in school, then spontaneously ended up in the Bay Area following a road trip from Tennessee. How did you end up landing in a part of the country so invested in the local food movement that would soon become crucial to building Cowgirl Creamery? Peggy: Well, we traveled for over six months with so many destinations and places to visit in mind. We landed in San Francisco in 1976 on a whim, and we knew immediately that this was it, that San Francisco was our place. At the time, our love of the place was more driven by the politics and the people. We really liked the camaraderie and lifestyle. Sue: But the food scene was also a big part of the draw. 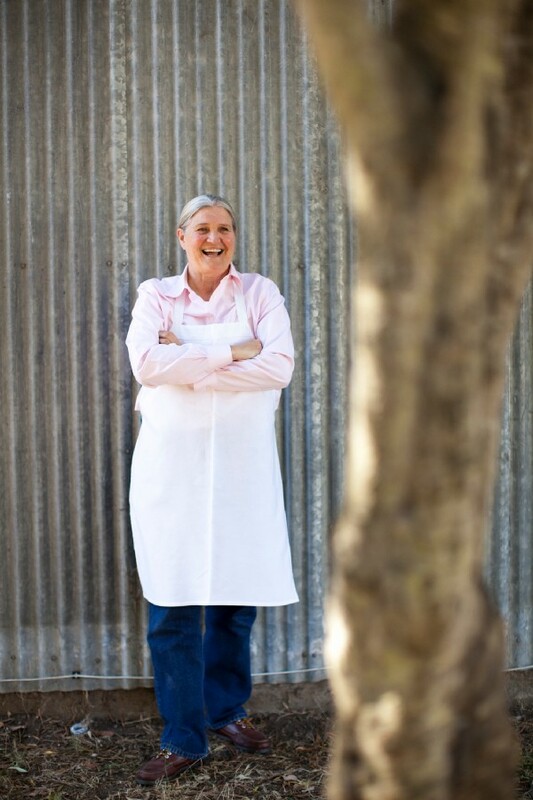 We both had worked in kitchens and bars, and it was an exciting time to experience San Francisco’s food culture because the natural foods movement was just starting to veer in the direction of more fine cooking, led by Alice Waters and Jeremiah Tower. They were taking all of the ethics of organic agriculture and local produce, and applying it to good, wholesome cooking. Very different from the brown foods we were used to growing up. Peggy: And the people who worked in food, they were much more real. We decided that we would focus on finding a place in that industry. And how did you get your foot in the door of the Bay Area food scene? Sue: Peggy kept applying for a job at Chez Panisse and finally landed one. I went to restaurant management school at City College — at the time it was only $5 a credit. We both dug in deep right away. What struck you the most when you planted your roots in that scene? Peggy: I think we both came from backgrounds where the meals that we were served were very much of the convenience wave of the 50s and 60s: easy-to-prepare meals, TV dinners, and boxed food which you added milk or water to. So coming out here, it was quite a change. It was eye-opening to just live in a place where there’s an array of fresh produce and really good Italian and French ingredients. Being able to taste arugula, or prosciutto, or really good pasta for the first time really changes how you eat. Even if it’s something like an artichoke or avocado. Sue: Yeah, you know we just didn’t have those things. Every single time we tried something fresh we hadn’t tried before, it was a revelation. Is that what sparked the creation of Tomales Bay Foods and eventually Cowgirl Creamery? Sue: Well, it really started with something that we observed going on in Europe at the time. In England, artisanal foods were highly valued and small family farms and shops could make a good living with small-batch products. When Peggy was a chef at a wine trade show, we met a cheese shop owner in Bordeaux, met the people that produced the dairy for the cheese, and they were all making a very good living and having a bit of fun working with the farmers and producers of their place. That was a real inspiration. Peggy: And places like that cheese shop had such a huge array of local cheeses that I’d never tried before that were so tied to the place. We wanted to showcase the agricultural region that is West Marin in a similar way, which was a driving force when we decided to start a business in Point Reyes Station. We wanted to be able to showcase the milk and cheese of the region, but also other local products like flowers and produce to showcase the bounty of that area. We wanted to be able to showcase the milk and cheese of the region, but also other local products like flowers and produce to express the bounty of that area. Sue: We took a culture that was already thriving in the region and just put a spotlight on it. Starting a business in what was primarily a rural agricultural region at that time seems like a huge risk. Sue: Yeah, we really risked a lot but I think that’s just the naivety of youth. But we believed in it, and had strong connections to some of the farmers in that area, like Albert Straus of Straus Family Creamery and his mother who co-founded Marin Agricultural Land Trust. It wasn’t easy. But we had good products, and we knew there were visitors to the Point Reyes National Seashore that might stop in. We relied on sandwiches made with local ingredients as our main source of revenue while we learned how to make cheese and perfected that process. Apart from Albert Straus, were there any other cheesemakers or producers in the area that you came to know as mentors? Peg: Oh definitely. Bellwether Farms, Redwood Hill, and Cypress Grove are a few that come to mind. Those people were all so generous with their time and were instrumental in helping us make our product better. And egging us on so we could keep going. What was the learning curve like when it came to actually making what would become Cowgirl Creamery cheese? Sue: It was definitely a trial and error operation, but that’s how all of the early cheesemakers started. We were lucky to have those friends in the industry to help along the way. Peggy: We started making fresh cheese to begin with. We used the older style of making cottage cheese which really showcased the flavor of the delicious milk we were using, and that worked pretty well. Fromage Blanc, creme fraiche, and ice cream were some other early experiments with fresh cheese. Having those popular items to begin with really helped get us into farmers’ markets across the Bay. When we went to the markets, we didn’t just bring our own products, we also brought our colleagues’. It was advantageous for us to have an outlet that was really interested in hosting producers of really good food. Was there one particular moment after opening where you felt successful? That this project was sustainable? Peg: Well we had little successes here and there, but we didn’t have financial security at all in the first seven years. We kept growing and reaching out to more communities. We opened a store on California Street near Fillmore, and then we were offered the space at the Ferry Building. I think after a few years in the Ferry building we just started to feel more secure. What was that growth process like? Sue: When the Ferry Building first opened, it wasn’t a wild success. It wasn’t fully occupied for well over a year because it opened during the dot com crash. So those first few years in the space were gradual in terms of growth. We have and we had really good people that we work with, and many of those people were able to help us take on that growth while we continued to scale the production as well as our sales. And since we carry cheeses other than our own, it was even more exciting because we could sell more of everybody’s product. From your stories, it sounds like cheesemaking is very much a cooperative project in the Bay Area — a supportive community. Sue: It’s a really good community. There are 30 cheesemakers within this area and we’ve worked with almost all of them. We also work with cheesemakers from all over the country and a few from Europe. This spirit of collaboration is an international spirit, one we can never let die. As a women-owned business, how has the food entrepreneurship landscape in the Bay Area changed from where you started to where you are now? Peg: I’ll say that it’s still very difficult for women-owned businesses to get any kind of funding in the beginning. Even more so if it’s any kind of agricultural business, big or small, because the return isn’t as fast as it is at something like a tech company. It wasn’t until maybe 8 or 10 years ago that we could really work with the bank in a way that wasn’t oppressive. That’s a strong word, but we had put every single thing on the line and just couldn’t move forward. Peg: We finally caught a break with a bank that came to us because they liked our business. Women aren’t intimidated by the work that it takes to run a food business. They’re willing to work hard and start out with a small amount of money to get things off the ground. I think men just expect more. Women aren’t intimidated by the work that it takes to run a food business. They’re willing to work hard and start out with a small amount of money to get things off the ground. Sue: Or maybe they’re more trusted in a way–that they have more business sense. Peg: It’s just not easy for women starting out in business. But places are popping up to support and help, places like La Cocina. Places like that are fabulous because they not only give folks an opportunity to start a business, but they also give confidence. You were recently acquired by the Swiss importer group Emmi. Have you been able to maintain that collaborative spirit through this huge transition? Peg: Right now it’s a good relationship. They also acquired Cypress and Redwood, who we’ve always worked with and who we consider personal friends. We’re now just aligning in a more economical way that actually doesn’t feel that different. Sue: Yeah, except we have to do more reporting (laughs). We have to do a lot of the financial reports. Oh totally, so many spreadsheets. Peg: Yeah, those are a big pain but otherwise it’s been really great. It has given us an opportunity to actually bring on so many more people interested in cheesemaking. We’re building a new production facility right now in Petaluma, which will allow us to expand our staff as well as the varieties of cheese we make. The food and grocery industries are rapidly changing before our eyes, and these large acquisitions play no small role. How do you see Cowgirl Creamery and other small food businesses changing as the way people shop for groceries evolves? Sue: I think it’s something that we’re trying to adjust to. I work in the direct-to-consumer part of the business, and I’ve started to wonder if we need a delivery service for our store because there are fewer people walking through the ferry building and shopping at the physical location. All small businesses need to consider that things aren’t like how they were, and adaptation is something consider in these times. 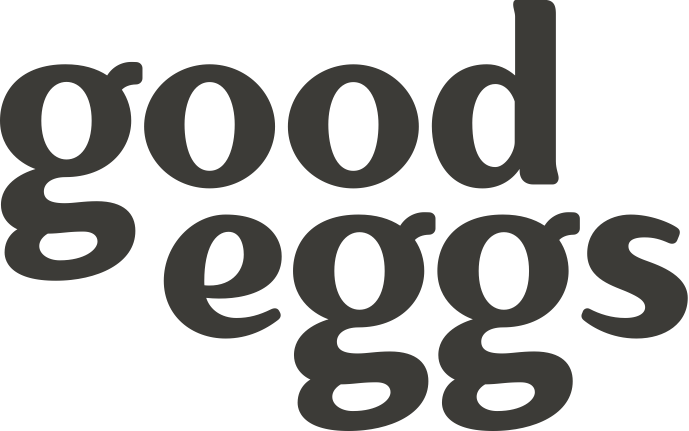 Places like Good Eggs make it easier for us to get our product out there, but we’re just not sure what else will come our way. I think we’ll all figure it out together.